This means that you have accepted Christ and you have been biblically baptized by immersion (dunked) but are not able to obtain a letter of church membership from another church. In this case, we will simply accept your word that you are a baptized believer and accept you into our membership. This means that you have accepted Christ and you have been biblically baptized by immersion (dunked) and are a member of another church. In such a case, you may request that Cowboy Fellowship contact your previous church and request that they transfer your membership to us. This means that you have accepted Christ as your savior and desire to be baptized. Because deciding to follow Christ is such a significant decision, Cowboy Fellowship does not believe that any person can make this choice for another. For this reason, Cowboy Fellowship, DOES NOT accept infant baptism. 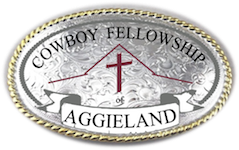 How do I express my desire to become a member of Cowboy Fellowship? At Cowboy Fellowship we do not require people to walk down in front of the church and request membership. Instead we use “visitor cards”. These are simple forms that you can fill out to request membership in Cowboy Fellowship by statement, by letter, or by baptism. These forms can then be dropped in our milk can. The Pastor will contact you to confirm your information and to answer any questions you might have. Visitor slips are always available in the meeting handout on the table at the back of the church.